Take an up-close look at the stunning details found in the handiwork of an expert glassblower! 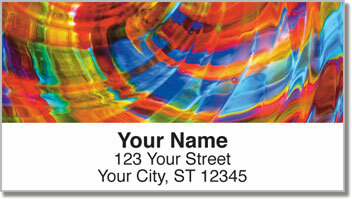 These return address labels from CheckAdvantage celebrate the creative skill of glassblowing with four vibrant designs. Using their breath and a fiery furnace, talented artisans patiently create colorful masterpieces. Now you can put that same beauty on all your outgoing mail! 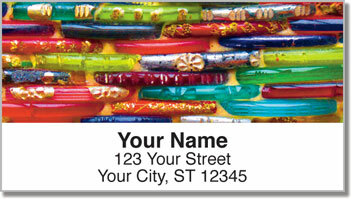 Glass Art Address Labels will also save you a considerable amount of time preparing letters and packages. 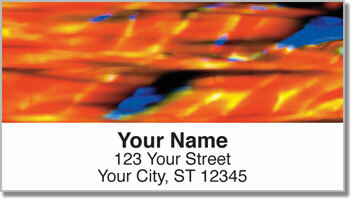 Plus, this attractive product can also be used to mark all kinds of personal property with your name and address. 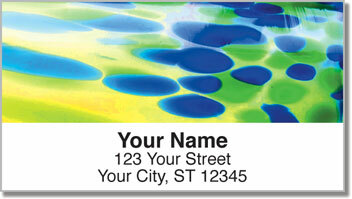 Get your very own Glass Art Address Labels now! You'll also find this artist selection in a set of matching personal checks.